During the last years, a demand for regionally produced biogas feedstocks was created by government subsidies to biogas production in Germany—contrary to the trend of specialization of agricultural production towards global commodity markets. The question arose whether this trend could contribute to an increased cultivation of uncommon crops and diversification of cropping patterns, owing to comparably different and less restricted feedstock requirements. In the cooperative research project “EVA,” a multi-site experimental crop rotation field trial was conducted over 8 years at eight sites, representing the variety of soil-climatic conditions in Germany. The aim of the trial was to assess a variety of established and novel crops for anaerobic digestion. This paper presents the key findings of the trial. Special emphasis is given to biomass productivity and profitability. The chances for the approach “diversification of cropping patterns via energy cropping” are discussed. Results show that maize (average 4-year dry matter yield varied site-specific between 14.22 and 25.12 t ha−1) is clearly the most efficient crop for biogas production in Central Europe. 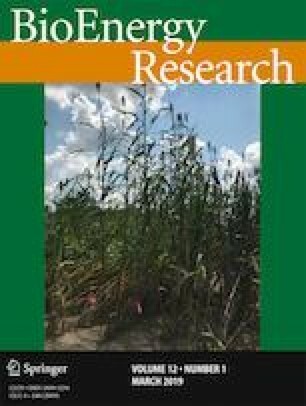 Some cropping options for biogas feedstock production, such as winter triticale (whole crop, average yield of 6.71 to 15.17 t ha−1) or perennial fodder mixtures (average yield of 7.51 to 19.44 t ha−1) are feasible choices for farmers in some regions, which could contribute to diverse cropping systems. We would like to thank the partner institutions of the EVA-project for their reliable and effective collaboration. The work of this study was carried out with the financial support of the Federal Ministry of Food and Agriculture by decision of the German Bundestag, through the Fachagentur Nachwachsende Rohstoffe e.V. which we would like to thank for the grateful support.